My greatest accomplishment is building a new broker model that dramatically improved agent production, profit and client experience. 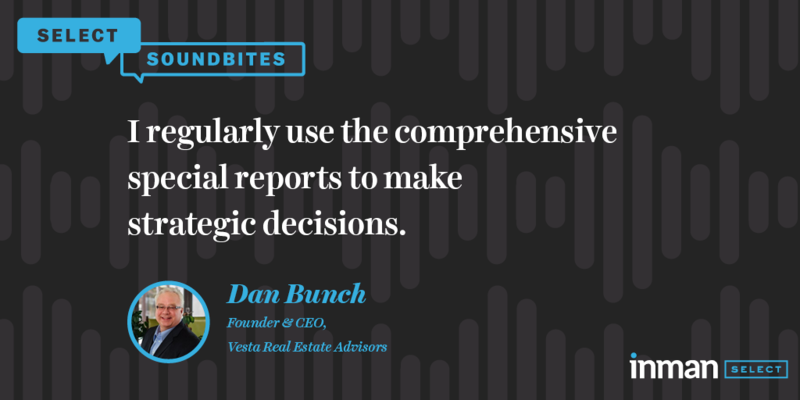 I regularly use the comprehensive Special Reports to make strategic decisions in my business. This is the most economical high-value news and data available. Have to find multiple sources and buy multiple subscriptions to obtain current and relevant industry news. Want access to creative ideas for driving growth in your business? Subscribe to Inman Select today! Want to connect with Dan? You can find him online and LinkedIn. Email Shawna Strayhorn, Director of Subscriber Growth, to share your Select Sound Bite!